We may do your transfers by a vehicle you request, by car, minibus or bus. We offer a professional transfer service to you with the aim of making your journey to and from the airport a comfortable one. 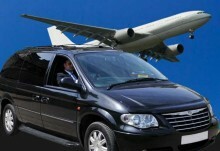 We are able to offer transfers to and from Dalaman Bodrum Izmir and Antalya Aiports. All vehicles are clean with airconditioning. Please use our contacts form to book your transportation.